Penny for your thoughts: Tatar Terror in St Petersburg? A Message from the West? Tatar Terror in St Petersburg? A Message from the West? Anyone who is going to engage in these types of attacks has to know that CCTV camera is going to pick up your image at some point in time. Two suspects are being tracked down- This is the first image made public of one of the suspects. Tatars of Crimea have been very loyal to the West, including asking for their assistance. I'm pretty sure the West has groomed Tatar terrorists as destabilizers- with their proximity to Russia they would be ideal candidates for such training. And, no this is not the work of Turkey. Not in my book. If this is a Tatar it is not to Turkey's benefit to be a party to this. 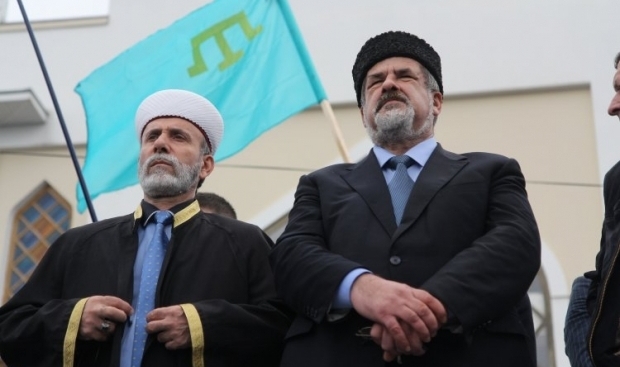 Chairman of the Mejlis of the Crimean Tatar People, Ukrainian MP Refat Chubarov calls on the West to help Ukraine get Russian-annexed Crimea back, according to an UNIAN correspondent. Petrograd being Stalingrad? Something like that and if not clarify? "SIMFEROPOL, January 26. /TASS/. Crimea’s law enforcement agencies are conducting a special operation to weed out the Hizb ut-Tahrir extremist organization in the city of Bakhchisaray on Thursday, Zaur Smirnov, Chairman of the Crimean Committee for Inter-ethnic Relations, informed TASS. "Law enforcement officials are carrying out a number of special investigative activities to identify Hizb ut-Tahrir activists. We have repeatedly warned Crimean residents that external forces will explore any possible way to penetrate into Crimea, so law enforcement’s task is to thwart these efforts," Smirnov said, adding that at the moment he has no information on arrests during the course of the operation. TASS earlier reported that 11 suspected Hizb ut-Tahrir followers involved in the activities of the organization’s local cells had been detained in Crimea in 2016. Two of them have been convicted in Russia’s southern city of Rostov-on-Don. Five others were placed under arrest on October 13, 2016. They were charged under Section 205.5 of Russia’s Criminal Code (involvement in a terrorist organization’s activities)"
It's going to be interesting to see if we get a Crimea connection here for certain.. Although it is always advisable to not rash into conclusions, one cannot shed the feeling that there is a cluster of recent events moving in the same direction. If the perpetrators of the Petersburg attack are indeed Tartars or Ukrainians, the coincidence with the recent declarations of the American Secretary of State, which amount to a declaration of war against Russia, is of grave concern. Already in March "Ukraine's Foreign Ministry said in a statement after the meeting that Tillerson told Klimkin the U.S. sanctions against Russia would remain in place until "aggression is ceased," until the Minsk peace deal to end fighting between Kyiv's forces and Russia-backed separatists is implemented, and until Moscow returns to Kyiv control of Crimea and separatist-held areas of eastern Ukraine". "In his first visit to a NATO ministerial meeting in Brussels, U.S. Secretary of State Rex Tillerson accused Russia of “aggression” in Ukraine and told his counterparts that their alliance is “fundamental to countering both nonviolent, but at times violent, Russian agitation” in the region." "American and NATO support for Ukraine remains steadfast. As we have repeated at every ministerial and summit since Russia launched its campaign of aggression against Ukraine, NATO allies stand firm in our support of Ukraine's sovereignty and territorial integrity," Tillerson said at a NATO meeting at the organization's headquarters in Brussels. "We do not, and will not, accept Russian efforts to change the borders of territory of Ukraine." He added, "We will continue to hold Russia accountable to its Minsk commitments. The United States sanctions will remain until Moscow reverses the actions that triggered our sanctions." At his confirmation hearings in January, Tillerson called Russia's claims on Crimea "illegitimate." His comments on Friday also echo those made by US Ambassador to the United Nations Nikki Haley, when she told the UN Security Council last month that US sanctions against Russia would remain in place until it withdraws from Crimea. “We want obviously to have a discussion around NATO’s posture here in Europe, most particularly in Eastern Europe in response to Russia’s aggression in Ukraine and elsewhere,” Tillerson told reporters Friday morning before a foreign ministers’ meeting. Where is "Elsewhere"? His urging NATO to spend more is a call for it to be prepared to spring in action. The provocations of Israel, the 'reactivation' of the 'opposition' in Russia (already advertised as "a 'turning point' for Western stance on Russia"), followed by the terrorist attacks, the increasing bellicosity of Ukraine, show that America and Israel want to force the confrontation. Probably the prospective meeting of Tillerson with Lavrov would see a repetition of American demands, as the meeting of Trump with Putin. We can only speculate how the confrontation would unfold. I think a direct attack on Russia is out of the question. But making sure that the terrorist attack can be firmly related to Ukraine and the Tatars, it can goad Russia in taking action against Ukraine, which would be immediately denounce as 'aggression' and an act of war. An act of war against 'Muslims' which would incense the Muslims inside Russia. Hope that I am utterly wrong. "Hizb ut-Tahrir (Arabic: حزب التحرير‎‎ Ḥizb at-Taḥrīr; Party of Liberation) is an international, pan-Islamic political organization, which describes its "ideology as Islam", and its aim as the re-establishment of "the Islamic Khilafah (Caliphate)" or Islamic state. The new caliphate would unify the Muslim community (Ummah)in a unitary (not federal)"superstate" of unified Muslim-majority countries spanning from Morocco in North Africa to the southern Philippines in South East Asia. The proposed state would enforce Islamic Shariah law, return to its "rightful place as the first state in the world", and carry "the Da'wah of Islam" to the rest of the world. The organization was founded in 1953 as a Sunni Muslim organization in Jerusalem by Taqiuddin al-Nabhani, an Islamic scholar and appeals court judge (Qadi) from Palestine. Since then Hizb ut-Tahrir has spread to more than 50 countries, and grown to a membership estimated to be between "tens of thousands" to "about one million". Hizb ut-Tahrir is very active in Western countries, particularly in the United Kingdom, and also in several Arab and Central Asian countries, despite being banned by some governments. Hizb ut-Tahrir has been described as "controversial", and as of mid 2015 it was banned in Germany, Russia, China, Egypt, Turkey, and all but 3 Arab countries". Isn't a bit disturbing that it functions undisturbed and nobody seems to see or hear it (and they are not silent) in UK, America, Australia, Denmark, Netherlands where it is legal and openly agitate for the Caliphate like ISIS? And people wonder how and why Muslims become 'radicalized'. Russia/Syria being blamed for "gas attack" or "gas factory explosion" in Idlib, Syria. Typical Western MSM saturation of the story when the message is to blame Russia/Syria. Website trolls and bots are blaming Turkey on the RT site -- so we're seeing a tactic of blaming everyone but the one party that benefits. The Zionists. About That, Alleged, Global Rise in Antisemetism? Turkey's Referendum: "To Close To Call" ??? Infants Show Innate Racial Bias- Good for them! Turkey's Referendum: Is The Sky Really Falling? 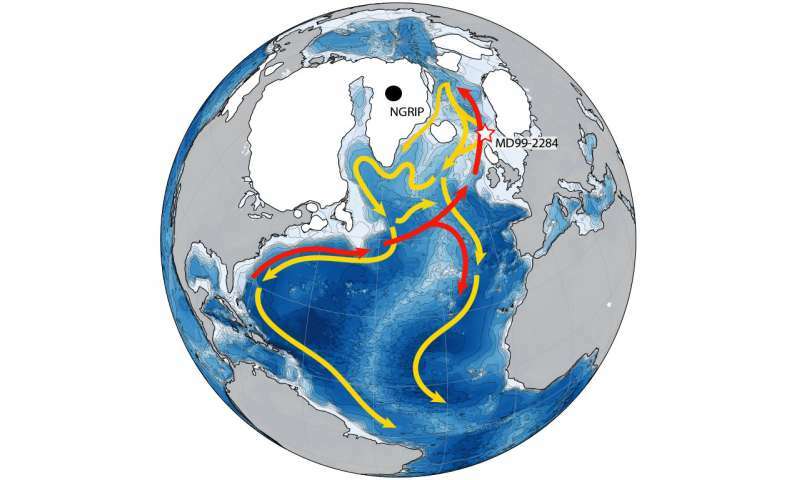 Where is my Anthropogenic Global Warming- Snow!